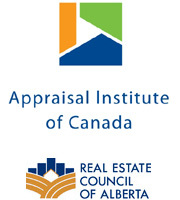 The Appraisal Institute of Canada, founded in 1938, is the national professional organization that designates, and represents professional real estate appraisers, and valuation consultants nationwide. Its mission is to protect the public interest and support AIC members by ensuring high standards of professional real estate and related property advisory services. An AIC Designation is the nationally recognized hallmark of quality and the single greatest assurance of which the public can avail itself when seeking real property appraisals and consulting services. The CRA or AACI, P. App Designation is awarded only upon completion of the Institute’s program of professional studies and an Applied Experience program that comprises the experience and examination component required to attain this prestigious designation.